Straddling the boundary between prairie lands and boreal forest, the city of Edmonton is bisected by the serpentine ravines of the North Saskatchewan River. 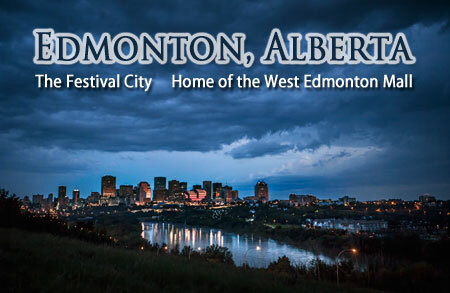 The capital of the province of Alberta, Edmonton is widely known as the Festival City, with over 30 arts and cultural festivals to choose from every year. 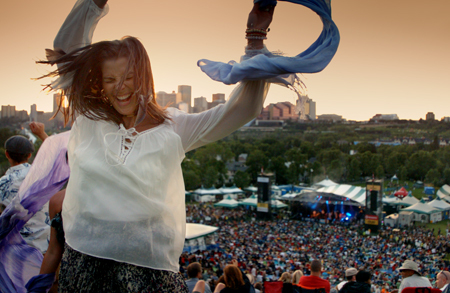 The Edmonton International Folk Festival is the oldest and largest in North America. The International Fringe Festival hosts more than 1,000 theatrical performances to the delight of half a million visitors. And don’t miss the International Street Performers Festival. Escape the urban bustle without leaving the city in the parks and pathways winding along the river – the largest stretch of urban parkland on the continent. 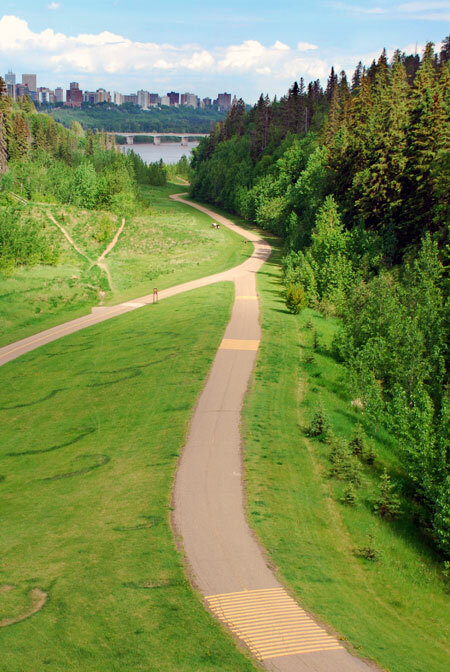 In summer, hike or cycle 150 km (93 mi) of River Valley trails. With the long days of mid-summer you can golf 17 hours a day at any of the area’s 70 courses. 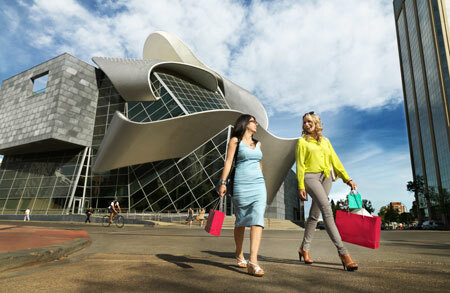 If shopping is a passion, plan to spend some quality time at the famed West Edmonton Mall. 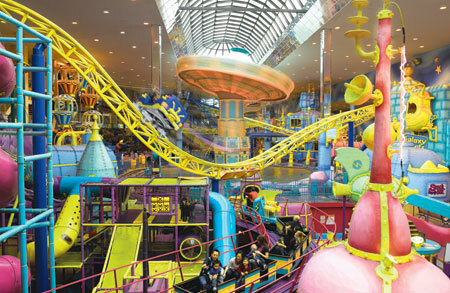 More than 800 shops, 100 eateries, luxury accommodation, movie theatres, a waterpark, skating rink and themed attractions make it the largest indoor shopping and entertainment complex in North America. Alberta is the only province with no sales tax, which means at least one more pair of shoes. In historic Old Strathcona, browse the boutiques, stop in at a bistro, then slip into a blues club and have a craft beer with the locals. In Sir Winston Churchill Square, find the music at the pitch-perfect Winspear Centre or take in a play at the Citadel Theatre, Canada’s largest and busiest regional theatre. Stroll the Gallery Walk, a 12-block area of 124 Street to view classic, contemporary and aboriginal works. Another must see is the new Art Gallery of Alberta. With its soaring curves of steel and glass, the building is a work of art on its own. For a taste of the Beaux Arts architecture of early Western Canada, visit the Alberta Legislature, built in the early 1900s. Then tour Fort Edmonton Park, Canada’s largest living history museum. The city’s culinary scene has come of age – eclectic, electric and wildly imaginative. Very much akin to the creative soul of the Festival City, where, folk, fringe, history and art mingle, top chefs use local ingredients to create a cuisine that is terroir focused, with endless ethnic diversity. No food tour’s complete without a look around hip 124 Street, with its 40 restaurants, galleries and the legendary Duchess Bake Shop. And plan to also make a stop at the century-old downtown City Market that sprawls along the 4th Street Promenade in spring and summer. Join the local fan frenzy at a live Oilers hockey game, or an Eskimos football game. See the race cars zip around the course at the Edmonton Indy, or catch the best of bull riding and steer wrestling at the Canadian Finals Rodeo. 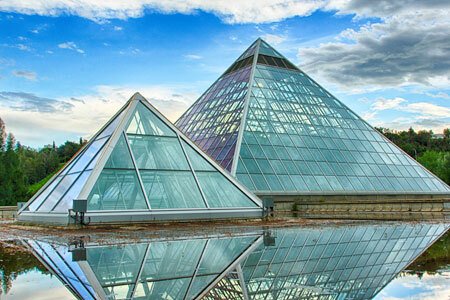 Escape for a moment to the tropical, temperate, arid and special display gardens of the Muttart Conservatory (the iconic glass pyramids located in the river valley). Less than an hour away, Elk Island National Park is a sanctuary of aspen parkland. 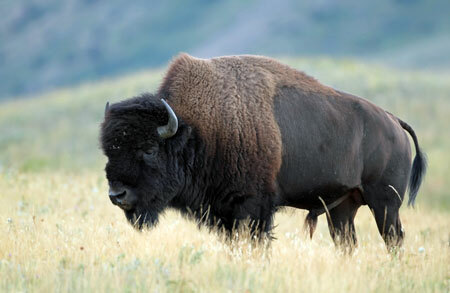 Watch for the bison that roam the park. If you’re looking for a blast from the past, be sure to visit the Ukrainian Cultural Heritage Village, located twenty-five minutes east of Edmonton. Plan to visit Edmonton where there are some fabulous Bed and Breakfasts. Find them on the BBCanada website listed under Edmonton.